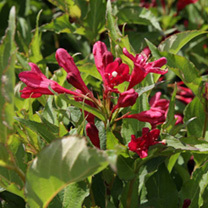 Clusters of pink trumpet-shaped flowers are produced throughout spring but it is the foliage that is the real star of wiegela Wings of Fire®. Once flowering has finished the bright green foliage turns shades of red becoming increasing fiery in colour as autumn approaches. Height 100-150cm. Supplied in a 7.5-10 litre pot. 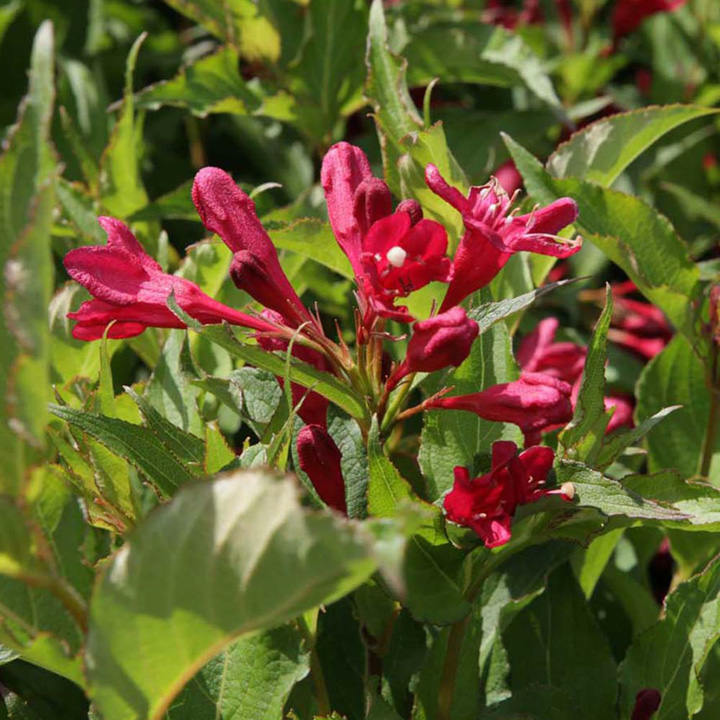 Clusters of pink trumpet-shaped flowers are produced throughout spring but it is the foliage that is the real star of wiegela Wings of Fire®. Once flowering has finished the bright green foliage turns shades of red becoming increasing fiery in colour as autumn approaches. Height 100-150cm. Supplied in a 3 litre pot or 7.5-10 litre pot.